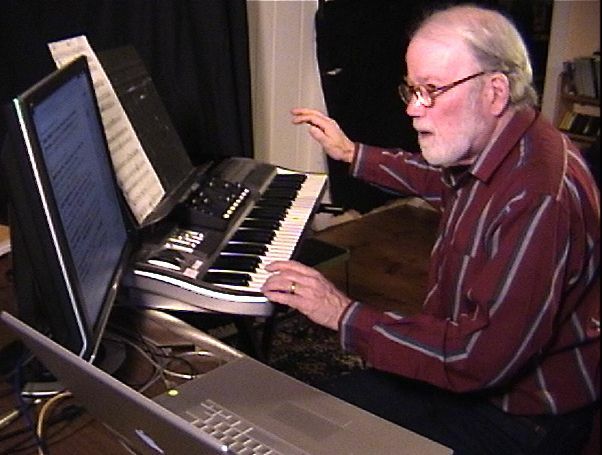 Having been taught and mentored by Henry Cowell and having developed his electronic music techniques in the studios under the direction of Ianis Xenakis, Barton McLean has experienced both the academic and the professional worlds of the composer, having had a 20-year teaching career in which, as director of the electronic music/music technology programs at Indiana University-South bend and the University of Texas-Austin, he and his colleagues pioneered the first large-scale commercially-available digital sequencer (Synthi 100) and sampler (Fairlight CMI), and, with his wife Priscilla, produced 14 LP recordings and seven CDs, some of which have become staples in electronic music courses, one of which (2007) has an elegant 24-page booklet with photos in a release from EM Records (Japan) entitled Electronic Landscapes. In 1983, he and Priscilla left academia to develop their electroacoustic duo The McLean Mix, which has proven itself in hundreds of concerts and installations throughout the U.S., Canada, Europe, and the Pacific Rim, and which has developed into a full-time career. His major interests have been the integration of natural sounds into the web of traditional and non-traditional structures, the use of technology to articulate ideas based on environmental and cultural concerns, and the development of new instruments such as this recent development of performances systems in MAX/MSP such as the Composers Playpen and the recent sound/light project the Sparkling Light Console. A signature McLean Mix collaboration, Rainforest Images, has been released on compact disc by Capstone Records (1993), and has been made into a video with Maylasian video artist Hasnul Saidon (1995). This 48-minute major work co-authored by Priscilla McLean uses resources on four continents, eleven organizations, seven live performers, and five major studios and has taken five years to assemble. More recently on the Capstone label appears Gods, Demons and the Earth, and The Electric Performer (1995 & 1997). Two recent CD releases have been his Song of the Nahutal and Etunytude on CRI (1997), and Ritual of the Dawn, Forgotten Shadows, and Happy Days, also on CRI (2000), both funded with grants from the Virgil Thompson Foundation. He has also recently collaborated with Priscilla McLean on a grand multimedia installation commissioned by a consortium of universities and museums, called The Ultimate Symphonius 2000, premiered in February 2000 at the Massachusetts Museum of Contemporary Art (MASS MoCA), and subsequently taken on tour. In addition to over 100 recent residencies at universities, and an equal number at arts centers and museums in the USA and abroad, the McLeans have recently completed residencies as guest composers at the Asian Composers League in Manila, the Universiti Malaysia – Sarawak, and as composers in residence at the iEAR program at Rensselaer Polytechnic Institute. 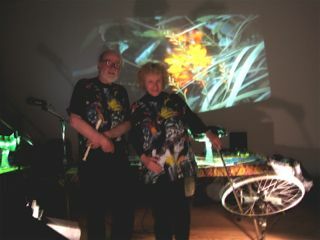 Recent compositions, Magic at Xanadu and Natural Energy (with wife Priscilla McLean as co-composer/video artist) utilize his sophisticated rendition of a MAX/MSP program called the Composers’ Playpen, and premiered in 2008. Recently (2012) the McLeans have produced three DVDs which are a summation of 12 years of creative video, audio, and live performing. Since 2014 McLean has become an avid user and proponent of Kyma, which has become the exclusive creative instrument in his work. He and Priscilla now live and work in a two – Pacarana household. Read McLean’s comprehensive review of Kyma 7, recently published in the in The Computer Music Journal.